﻿Published by Sareth Ney on Nov. 29, 2016 at 4:22 p.m. Updated on Nov. 29, 2016 at 4:49 p.m.
Photo credit: Arsenio Hall's IMDB page. 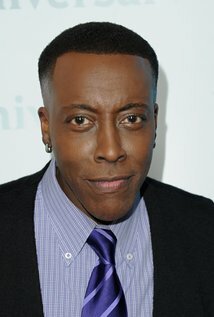 JACKSONVILLE, Fla. – Arsenio Hall is set to perform four stand-up comedy performances at Comedy Zone, from Dec. 2 through Dec. 3. He is an actor, comedian, producer and writer. After graduating from Warrensville Heights High School in Warrensville Heights, Ohio, Hall attended and graduated from Kent State University. He received a Bachelor’s degree in speech. Hall was a frequent guest on “The Late Show” with Joan Rivers, in 1987. He would take over as the host, after Rivers and the show parted ways. Chunky A, Hall’s alias, released an album called “Large and In Charge”. It was released in 1989, featured Ice-T, Paula Abdul and Wil Wheaton. In the same year, Hall received his own syndicated show through Paramount called “The Arsenio Hall Show”. In 1990, Hall was the recipient of a star on the Hollywood Walk of Fame. In 1992—he received an honorary degree, Doctor of Humane Letters, from Central State University. Television works Hall were part of include: “New Love, American Style”, “Movie Macabre”, “Alfred Hitchcock Presents”, “Cheers”, “Living Single”, “Arsenio”, “Martial Law”, “Norm” and “Lopez”. He performed voiceover work on “The Real Ghostbusters”, “The Proud Family Movie”, “Scooby-Do! Pirates Ahoy!” and “Black Dynamite”. Films Hall could be seen in consist of: “Amazon Women on the Moon”, “Coming To America”, “Harlem Nights”, voiceover work on “Igor”, “Black Dynamite” and the upcoming “Sandy Wexler”. As a writer, Hall wrote for the following television specials: “Uptown Comedy Express”, “MTV Video Music Awards” in 1991 and “Soul Train Comedy Awards”. He wrote for the television programs, “Comedy Club” and “The Arsenio Hall Show”. He was a writer for the television special documentary, “A Party for Richard Pryor”. As well as the video, “Before They Were Kings: Vol. 1”. ​“The Party Machine with Nia Peeples” was Hall’s first producing credit. He was the executive producer of: “Time Out: The Truth About HIV, AIDS, and You”, “One on One with Magic Johnson”, “The Arsenio Hall Show” (1994), “Arsenio” and “The Arsenio Hall Show (2013-2014). Hall’s early shows will begin at 7:30 p.m. and the late ones will begin at 10:00 p.m., at the Comedy Zone. Ticket prices are $25 for the outer circle, $30 for the inner circle and $112.50 for both circle seats. The $112.50 price range includes dinner at GiGi’s, one ticket, an overnight stay at Ramada Mandarin and must be purchased in pairs. Prices exclude service fee and tax. Dec. 02 - Comedy Zone of Jacksonville, Jacksonville, Fla.
Dec. 03 - Comedy Zone of Jacksonville, Jacksonville, Fla.
Dec. 15 - Flappers Comedy Club, Burbank, Calif.